Promoting Cultural Day, Every Day! AP, AJC, Tom Joyner, etc. 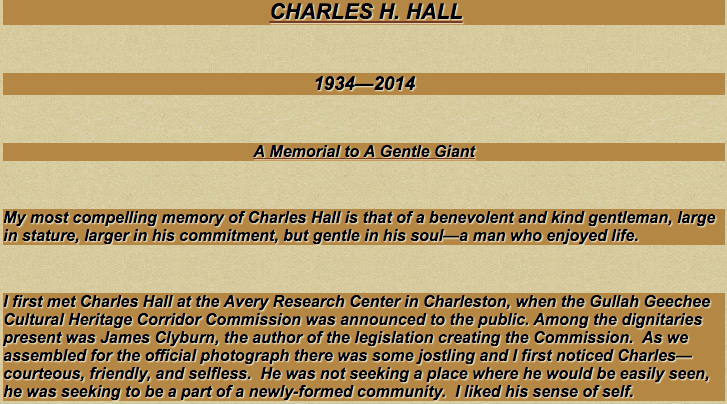 Welcome to the Gullah/Geechee Culture Initiative Website. Learn more facts and self-educate. Please share. Enjoy and THANK YOU, again, for visiting our website!!! It claimed the state and McIntosh County employed harsh tax hikes and denied basic services, which reduced the community's population. The defendants argued the 11th Amendment protects the state from federal lawsuits, and asked that the claims be dismissed. 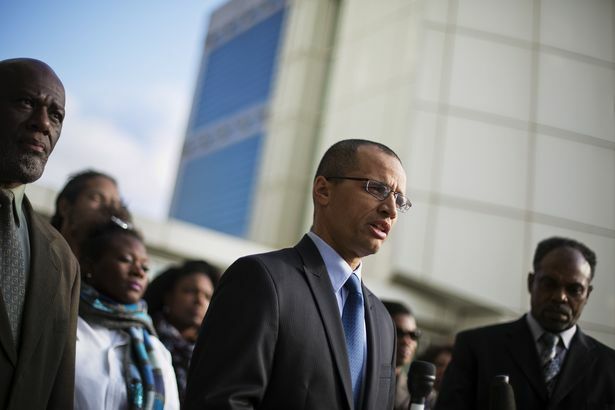 On June 17, U.S. District Court Judge Lisa Godbey Wood disagreed. Hogg Hummock is home to about 50 black residents. It can only be reached by limited ferry service, and has no trash pickup, schools, police or fire departments. The state also faces damages under the Americans with Disabilities Act. Plaintiff's say the ferry, which is the only way on to the island, is not readily accessible to community members with physical disabilities. Judge Wood dismissed all claims against the Sapelo Island Heritage Authority. Claims are still pending against McIntosh County, Governor Nathan Deal and Department of Natural Resources Commissioner Mark Williams. Sarah Frances Drayton’s one acre of land on Sapelo Island has been in her family since the time of her great-grandfather, James Green, who was born a slave but died a free man among the island’s thriving Gullah-Geechee community. ​Drayton, 87, is part of a dwindling band of that Gullah-Geechee community who still call the unbridged barrier island in McIntosh County home. Many others who have strong roots on the island have moved to the mainland, unable to maintain a livelihood with the bare essentials available on Sapelo.And the Gullah-Geechee community’s flight from Sapelo Island is no accident, according to a lawsuit filed Wednesday in the United States District Court for the Northern District of Georgia in Atlanta. The lawsuit asserts that a systematic practice of neglect and mistreatment by state and county government officials has served to drive the Gullah off of ancestral lands that their ancestors have occupied since the 1700s. The lawsuit was filed on behalf of some 54 people descended from Sapelo Island’s Gullah-Geechee people. Most of those named in the racial discrimination lawsuit now live in Brunswick and on St. Simons Island, and some are from as far away as Texas and New York City. Drayton, who lives in a mobile home on her one acre, is among the few named in the suit who still live on Sapelo Island. The lawsuit claims that McIntosh County taxes Sapelo Island residents for services that it does not provide, including trash pickup, fire and police protection, water and sewer services, and road maintenance. 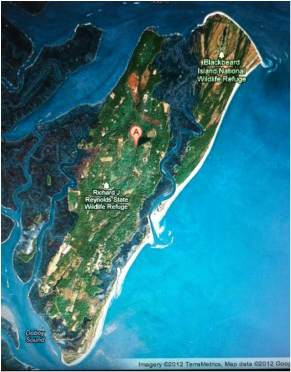 The lawsuit claims the county additionally taxes Sapelo’s Gullah-Geechee residents exorbitantly, based on the lavish vacation homes built on the island by rich white people. Some of these homes were allowed, according to Colfax, by the Sapelo Island Heritage Authority, a state entity that exists to protect the Gullah-Geechee culture on the island. The state services that are provided are often inadequate, including trash and ferry service. The Gullah-Geechee people are a federally-recognized distinct group of people, descendants of slaves from West Africa who have their own culture, heritage and language. Sapelo Island is at the heart of a 400-mile coastal corridor established by a Congressional commission for Gullah-Geechee cultural preservation. Colfax said the lawsuit aims to prevent further outside encroachment from resort home developers and to increase services that will help the Gullah-Geechee thrive on the island. The lawsuit also seeks monetary damages to those named, as determined in a court of law. More than 20 such resort homes are located on the island. The Gullah-Geechee population presently stands at no more than 50, all holding out in the Hog Hammock community. The remaining 90 percent of the island is state-owned, the lawsuit said. Much of that state land was obtained from Gullah-Geechee property owners in a 1950s land grab by tobacco magnate R.J. Reynolds Jr., the suit states. Upon his death, the land was deeded to the state. “The state’s ownership stake is based on a history of fraudulent land transfers and land theft by white millionaires throughout the 20th century,” the suit said. Trash disposal consists of residents bringing their garbage to a communal dumpster/compactor, which is run by the state. Yet the county charges Sapelo residents the same annual trash fee that is charged to mainland residents, who receive residential roadside pickup, the suit said. The state’s “pseudo-sovereign role” also includes a water system, “some emergency personnel and equipment” and a ferry service. The ferry service is limited, making three trips between the island and mainland daily, the last of which is at 5:30 p.m. The service makes commuting to jobs on the mainland difficult. Students participating in after-school activities at the nearest schools in Darien cannot depend on the ferry to get them home. “It makes it virtually impossible for Gullah-Geechee families to continue living there,” Colfax said. Drayton, whose great-grandfather worked on the Thomas Spalding Plantation on Sapelo before emancipation, does not want to be the last of her kind on the island. McIntosh County Manager Brett Cook could not be reached Wednesday. Reporter Larry Hobbs writes about government, public safety and other local topics. Contact him at lhobbs@thebrunswicknews.com or at 265-8320, ext. 320. ATLANTA (AP) — Residents and property owners in one of the few remaining Gullah-Geechee communities of slave descendants on the Southeast coast are suing a variety of state and county agencies, accusing them of discrimination and neglect. The lawsuit alleges landowners on Sapelo Island, along Georgia's coast about 68 miles south of Savannah, pay high property taxes while receiving few basic services from surrounding McIntosh County or the state of Georgia. They say that's making it nearly impossible for them to live there and is destroying their community and culture. The Gullah, referred to as Geechee in Georgia, are scattered in island communities over 425 miles of Atlantic coast where they've endured after their slave ancestors who worked island plantations were freed by the Civil War. Hogg Hummock on Sapelo, also known as Hog Hammock, is home to fewer than 50 people and is one of the last such communities from North Carolina to Florida. ATLANTA -- Residents and property owners in one of the few remaining Gullah-Geechee communities of slave descendants on the Southeast coast are suing a variety of state and county agencies, accusing them of discrimination and neglect. 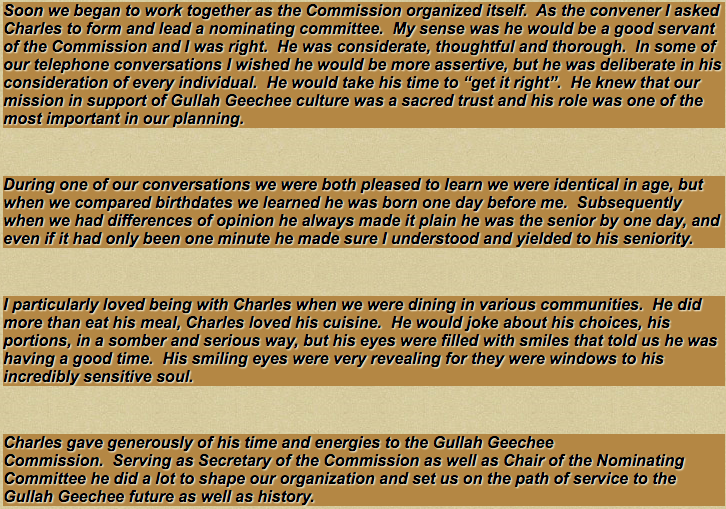 In response, Gullah/Geechee Culture Initiative is launched by stakeholders of Sapelo Island. 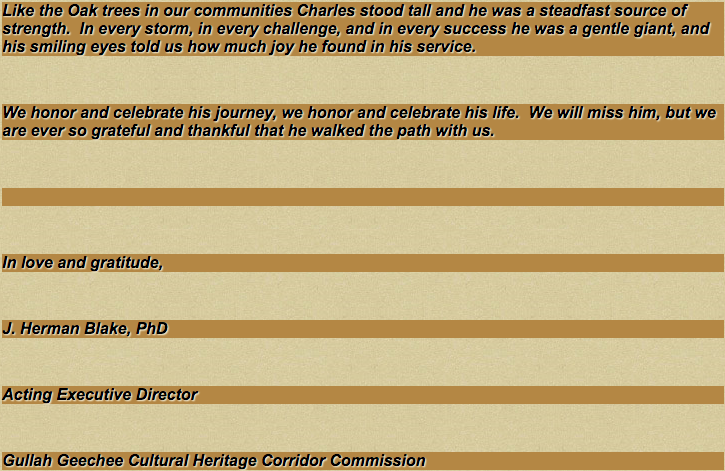 Click on Gullah Geechee Cultural Heritage Corridor Management Plan cover to view complete document. The beacon of light from this little island has caused economic wealth for a select few at the expense of countless others. 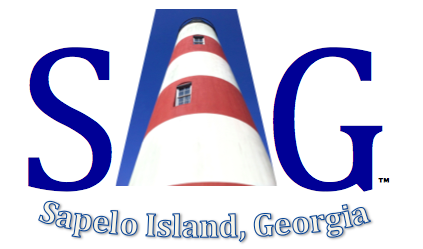 Together, we can focus on this same beacon of light to regenerate Gullah/Geechee culture starting on SIG as we usher in generational wealth for all from the Economic Spine of our nation. Help preserve the Gullah/Geechee cultural thread of our American fabric by donating to support Solutions on Sapelo, a community-driven economic redevelopment plan. 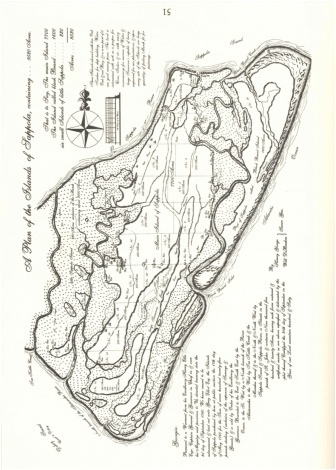 have been mapping Sapelo Island since the 1700s. ...when the Civil War ended in 1865, land ownership rights were made available to formerly enslaved Gullah/Geechee people on the plantations. Moreover, formerly enslaved Gullah/Geechee people that lived off of the plantations were also afforded land ownership rights. When land ownership rights were deeded or recognized, the Gullah/Geechee culture on Sapelo Island established thirteen distinct Gullah/Geechee settlements. The total land acreage consisted of at least 2,700 acres. According to the culture, the settlements are Shell Hummock, Behavior, Riverside, Hanging Bull, Kenan Field, Lumber Landing, Bell Marsh, Chocolate, High Point, Bourbon Field, Raccoon Bluff, Hogg Hummock, and Johnson Hummock. Even though landowner rights were made available to formerly enslaved people on the island, a strategy had to be initiated to ensure that the lands could be legitimately passed on to future generations. In 1871, the Hillery & Co. (formed by formerly enslaved men of Sapelo Island) purchased with U.S. currency a 1,000+ acre tract of land known as Raccoon Bluff. Subsequently, land was purchased in the other settlement communities and therefore legitimized the historic indigenous culture of Sapelo Island. The historic indigenous culture of Sapelo Island began to be impacted by systemic deprivation. Three primary individuals impacted the systemic deprivation that occurred to the Gullah/Geechee culture during the early part of the 1900s. These three individuals were Howard E. Coffin, R.J. Reynolds, Jr. and Anne Marie Reynolds. The primary strategy for sustaining the deprivation of an indigenous culture is to seize control and ownership of the land. Coffin, founder of the Hudson Motor Company in Detroit, MI, went to Sapelo Island and purchased land. 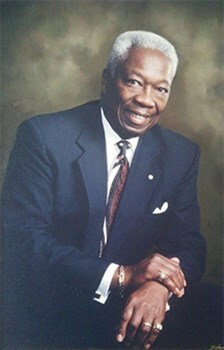 Later, R. J. Reynolds, Jr. of R. J. Reynolds Tobacco purchased all of Coffin’s land. Reynolds, through scare tactics and land grabs forced the Gullah/Geechee people to re-locate, dis-establishing their communities. Reynolds’ widow Anne Marie later sold the lands that originally belonged to the Gullah/Geechee people to the state of Georgia for four million dollars. During the latter part of the 1900s the systemic deprivation of the Sapelo Island indigenous culture was impacted by public policy of government instrumentalities of the state of Georgia. Those instrumentalities are the governors, state departments, the Sapelo Island Heritage Authority and McIntosh County government. The regeneration of the indigenous culture on Sapelo Island began in 2008 with data collection and research initiated by leaders of the Gullah/Geechee culture on Sapelo. Three cornerstones have been established to initiate remedies for the deprivation of our indigenous culture and implement strategies for the regeneration of our culture under the auspices of Solutions on Sapelo (SOS). Those three cornerstones are the Raccoon Hogg Community Development Corporation, the Gullah/Geechee Culture Initiative and HELP ORG INC. 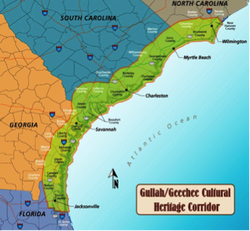 The Gullah/Geechee Culture Initiative was established to plan, develop, evaluate and analyze reliable strategies for the regeneration of indigenous cultures. This initiative plans research sessions to collect information and data for the natural and historic integrity of current and future programs. This initiative conducts development sessions with individuals, groups and organizations to effectively manage reliable input to sustainable programs. This initiative evaluates proposals that lead to administrative, technical and community engagement for stakeholders to participate in long and short term programs. This initiative analyzes local, city, county, state, federal,regional, national and global public policy that present barriers and challenges to current and future programs. © 2017 Gullah/Geechee Culture Initiative - All Rights Reserved.